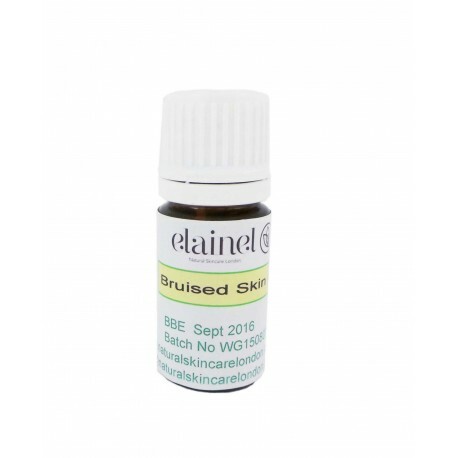 This skilfully formulated oil is good for bruised skin. Not suitable during pregnant or breastfeeding. Suitable for vegetarians. 100% natural. 91.4% organic. St. John’s wort: soothing and has natural anti-inflammatory properties. Apply to clean bruised skin. Do not apply to broken skin. Do not apply before exposed to sun. Helianthus (Sunflower) annuus seed oil**, Tocopherol, Symphytum (Comfrey) officinale root extract**, Hypericum perforatum (St. John’s wort) extract**, Simmondsia chinensis (Jojoba) seed oil**, Calendula officinalis flower extract**, Arnica montana flower extract**, Rosmarinus officinalis leaf extract**, Anthemis nobilis (Chamomile) flower oil, Lavandula angustifolia oil, Helichrysum italicum flower oil**, Zingiber officinale (Plai) root oil, d-Limonene*, Linalol*, Geraniol*.